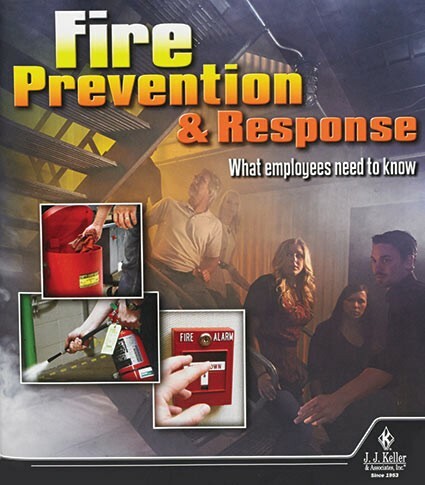 Help satisfy 29 CFR 1910 Sections 38, 39 and 157 while ensuring your employees know what to do in case of a fire with this easy-to-understand training program. Use the program to help your employees understand the basics of a fire, how to prevent them, and how to respond to a fire. Thank you for your interest in previewing the Fire Prevention & Response: What Employees Need to Know online course. Please register or log in to watch free previews, browse the course library, purchase training points, and more. Thank you for your interest in previewing the Fire Prevention & Response: What Employees Need to Know video program. Please register or log in to watch free previews, browse the course library, purchase training points, and more. "The hardest part about delivering crucial information to our employees is working around their schedules. J. J. Keller's online training has allowed me to impart the same safety information to hundreds of them, without the time and expense of traveling to their locations. Now we get the same results with interactive online training."